NEXT SEASON’S PRO14 will begin four weeks later than usual, with fixtures continuing through most of the Rugby World Cup in Japan. The competition will kick off on Friday 27 September and there will be three rounds of games before a break for the weekend of the World Cup quarter-finals on 19 and 20 October. The tournament will resume for round four on 25 October and there will also be a full round the following weekend when the World Cup final takes place in Tokyo on 2 November. There will then be a further series of league games a week later before breaking for the opening rounds of the Champions Cup on the weekends starting 15 and 22 November. Clubs have been told that a further round of the PRO14 will take place on the final weekend in November before breaking again for the third and fourth series of European games on 6 and 13 December. The schedule will then bring the usual Christmas derby games followed by the two remaining pool rounds of European action on the weekends starting 10 and 17 January 2020. The PRO14 is expected to confirm its schedule in the coming weeks, almost six months after the French and English announced their plans for the 2019/20 season. The uncertainty over the regional situation in Wales is not believed to be a factor as the WRU is committed to fielding four teams. However, it is believed that the level of South African involvement was a factor in the delay. The Top 14 in France will, as usual, get under way in late August with four rounds of games planned prior to the World Cup and another four while the competition is taking place in Japan. 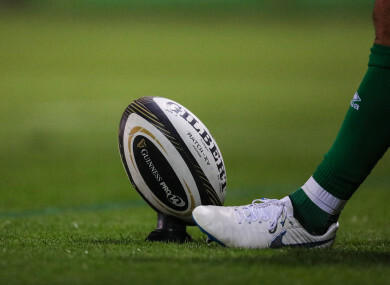 The Premiership in England will not commence until the weekend of the World Cup quarter-final on 20 October. The English clubs will participate in a domestic cup competition prior to the World Cup, while the Premiership final has been put back to 20 June 2020 as they embrace an eleven-month season with defined breaks in-season for players. The Top 14 final will take place on 26 June 2020, while a date and venue for the PRO14 final is expected to be announced in the coming weeks amid speculation in South Africa that the tournament decider could be hosted there. This season’s Pro14 final will take place in Glasgow’s Celtic Park on 25 May, with a 18.30 kick off set to avoid a clash with the Scottish Cup final in Edinburgh on the same day. Email “Next season's Pro14 to kick off late, with break to fall on World Cup quarter-final weekend”. Feedback on “Next season's Pro14 to kick off late, with break to fall on World Cup quarter-final weekend”.